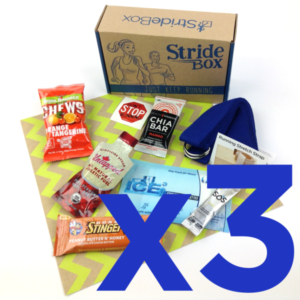 An excellent surprise for your running buddy or that special runner in your life. 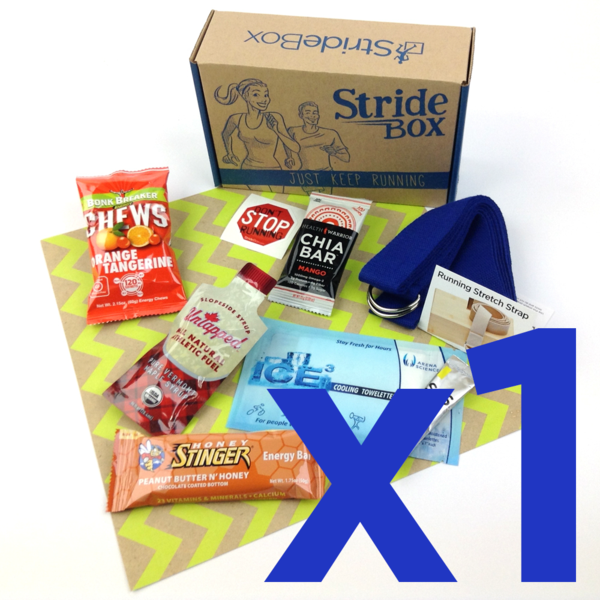 Each box includes 4-7 products that will keep them moving no matter their running skill level. Last Minute Gift? No Problem, complete your purchase and a downloadable gift certificate will be available for download on the confirmation page so you can tell your recipient how awesome the gift will be. 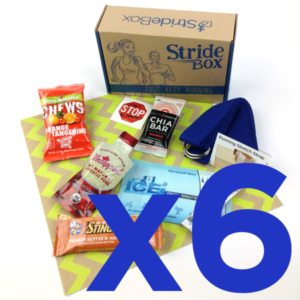 First gift box will ship within 3 business days of purchase, and subsequent monthly boxes will follow our normal shipping schedule and will ship before the 7th of each month. A gift note will be included in your first box. Payment details are never shared with the recipient. This is a one-time purchase, and will not renew. At this time, gift purchases can only be shipped within the United States, and to APO/FPO military addresses.